Jaydeep Steels is well-known to be one renowned Monel Bars and Rods manufacturer and supplier, both nationally, and internationally. Our alloy bars and rods are made from the finest grade material to ensure higher strength and supreme corrosion resistance. Therefore, they find extensive use in marine and industrial applications. We specifically use the Monel 400 and Monel K500 alloys for production of these bars and rods. 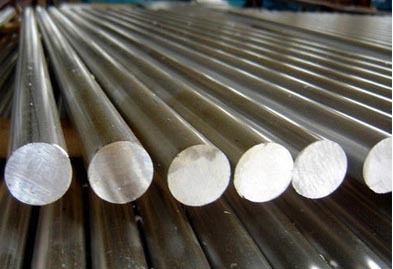 The Monel Round Bars offered by us have various superior properties like high corrosion resistance to acids and alkalis, high mechanical strength, good ductility, resistance to alkalis, relatively low cost, attractive appearance, etc. We have a vast range of Monel Round Rods that are made available in forms of these bars and rods are threaded, cold drawn, hot rolled, cold rolled, annealed etc. 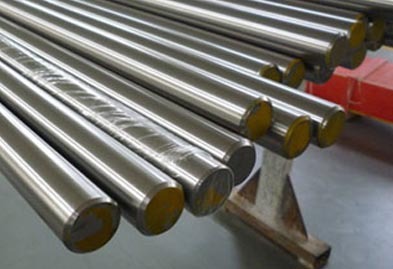 We make use of latest technologies and expert guidance to manufacture Monel Forged Bars & Rods, which are specifically used in marine applications or chemical industries because of their superior corrosion resistant characteristics in the presence of salt water, acids, alkaline (base), and a variety of other caustic media. Our Monel Bright Bars & Rods are often valued for applications like Pump Shafts, Machined Components, Valves, Dairy Equipment, Fasteners, Pins, Hinges, Surgical & Medical Parts, and much more. At Jaydeep steel, we make sure that our Monel Threaded Bars & Rods adhere to all the international and national quality standards. They are used to fasten either wood or other metals together. We manufacture Monel Black Bars & Rods in various shapes like square, rectangular, hexagonal, etc. Please call us now to request a free and no obligation quote! Grade Monel UNS N04400, UNS N05500, Monel 400, Monel K-500. Jaydeep Steels stocks a wide range of materials and grades. Below are a list of all standard monel bars and rods materials and grades we stock. Our experienced team of metal experts will get you the metal you need when you need it. Call us today for your Monel Bars & Rods Needs!